A baby’s first way of communicating with his or her parents and caretakers is through crying. Although it may be difficult at first to differentiate between the different cries a child has, you’ll soon learn that each varies in sound and length indicating a wide range of needs that he or she wants you to tend to. You’ll be better able to address the problem and gain more peace and quiet because your baby will quickly feel better. · I’m hungry. This is among the most common cry you’ll hear from your baby. It’s letting you know that he or she is hungry. If it’s close to their normal feeding time and they haven’t yet eaten, the baby may cry because they are ready to eat. You can quickly care for the child by breast or bottle feeding them until they are satiated and satisfied. · I’m tired. An exhausted baby will let you know by crying loudly. They may have difficulty keeping their heads up and eyes open. If you hear sound coming out of their mouths but they look like they’re about to fall asleep, some gentle rocking can help them go to bed quicker. You can sing them a song or lull them to slumber with some soft music. · I’m wet. A baby that has soiled his or her diaper is uncomfortable. They’re ready for you to clean, dry, and change them. Making sure that you have a diaper bag filled with the necessities wherever you go is ideal. That way, you don’t have to carry a screaming infant around in the store with a dirty diaper. You can quickly change them in the restroom and be back in business in no time. · I’m scared. When you’re new to the world around you, anything can be frightening. Babies cry when they’re scared. They want you to be there for them to reassure them that everything is going to be okay. If you’ve just left them alone in their crib or playpen, you may hear them cry even though they’ve been fed and freshly changed into a new diaper. · I’m hot. A child may be uncomfortable in the clothes he or she is wearing. The high-tech baby monitor alerts you to fluctuations in temperature in your baby’s environment. You’ll be able to make adjustments to cool your baby down right away. That way, they’ll stop crying and rest easier. You will, too, knowing that they are safe and content. 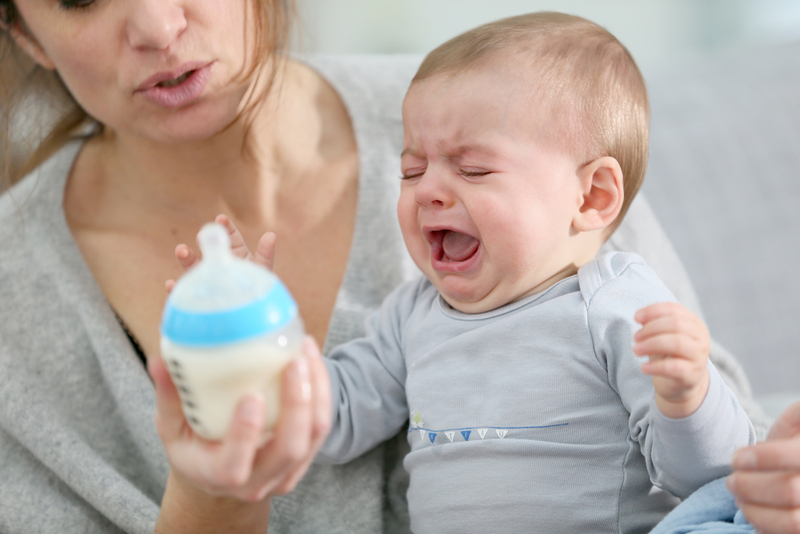 Now that you know why your baby is crying, you can tend to their immediate needs quicker. You won’t need to listen to them wail and scream for any length of time when you have a Lovey’s Artificial Intelligence Baby Monitor in the home. It learns your baby’s behaviors and habits quickly so you’re able to create the safest and healthiest environment available for your little one to live in.